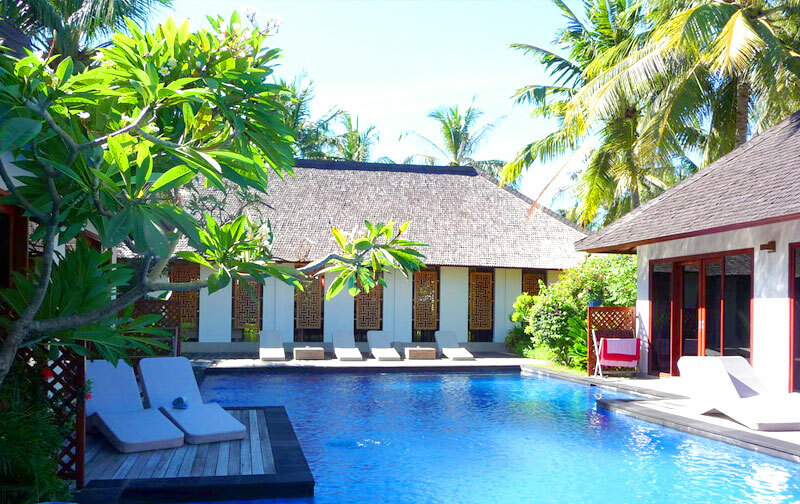 A newly opened resort, the only four-star hotel on Gili Trawangan: “ Luce d’Alma Resort & Spa ”nestled in a unique atmosphere. Distinguished by style and design: 16 large rooms (from 58 sq. mt.) opening out on to a magnificent 80 sq.mt pool, spa facilities and a hotel operated beach. Furthermore, on an island which does not rely on spring water sources, a hydraulic system for fresh and drinkable water is undeniably a plus whilst hot water is guaranteed by solar panels. A fine restaurant and the genuine Italian hospitality top it all. 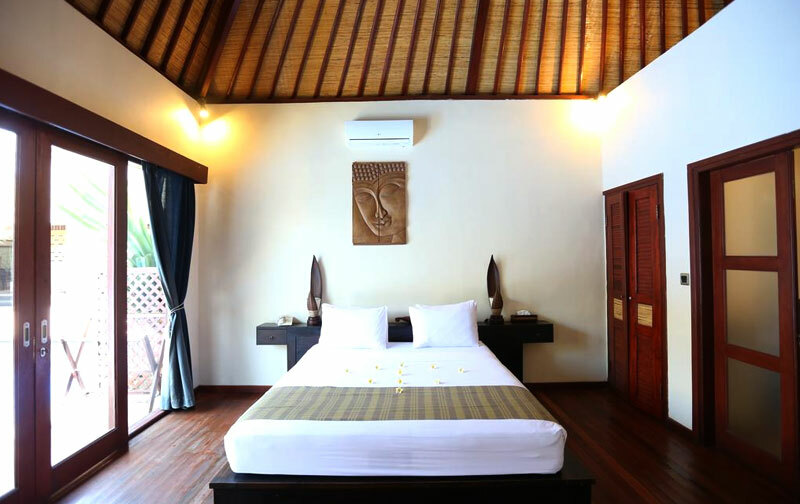 Each cottage features a king size bed, a large closed bathroom - unusual by Indonesian standards – with bath, an elegant walled shower, hairdryer and robe included. Each has a spacious living room with international TV, telephone, CD, DVD, safety box, electric coffee-tea pot, mini-bar and air conditioning. 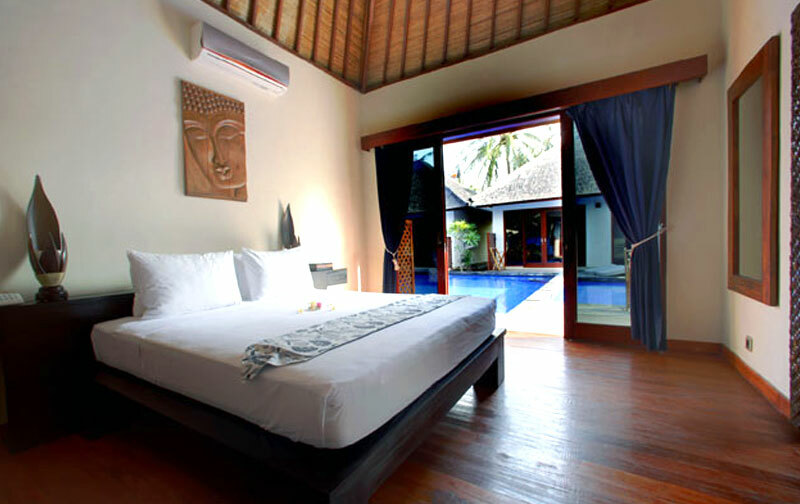 Each cottage has direct access to the pool from its own private furnished terrace. The main dining room which opens laterally as tradition wants, unites the best of European essential design and Balinese decor, enriched by precious woods. The resort also offers the optimum of a traveler's needs including fitness area and spa facilities with Jacuzzi and sauna under the supervision of well trained staff. Baby-sitting and laundry upon request. The cuisine again reflects this Euro Asian connubial elegance. Next to the traditional local delicacies, you are likely to find obvious and perfectly interpreted Italian fare enriched with local influence by the hotel’s chefs.